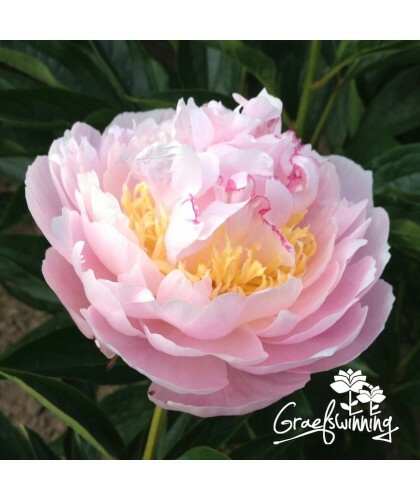 Paeonia herbaceous hybrid "My Love". Blush tinted buds open up to perfect symmetrical cone shaped double flowers. Colour changes to white in time. 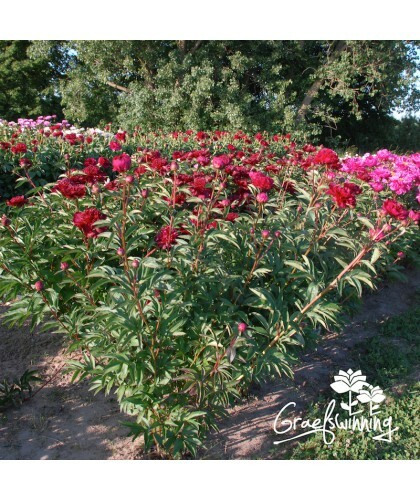 Some side buds extend the flowering season. 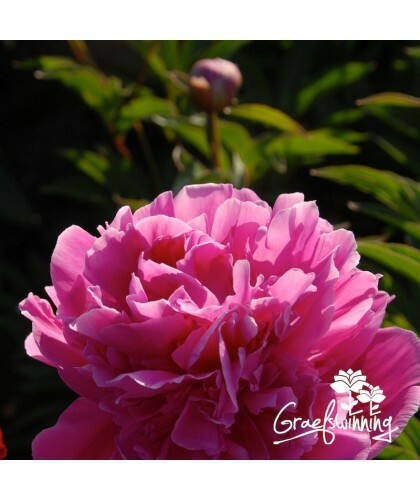 A vigorous peony, with straight stems, which produces a sea of flowers. Some extra support is recommended. Graced with a light fragrance and so lovely named.